Posted By:Unknown | At:11:09 AM Be the first to comment! 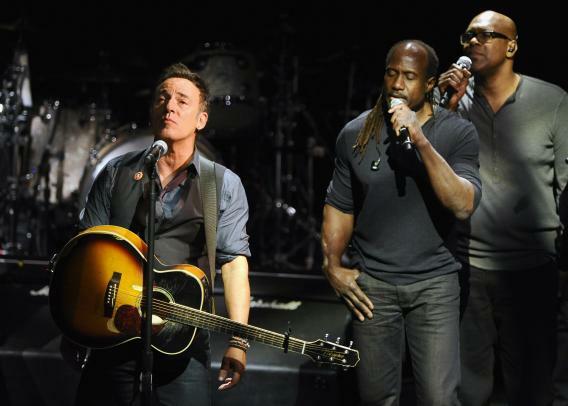 Bruce Springsteen is currently on tour for his new album, Wrecking Ball. During a tour stop in Tampa, he broke out a song he originally wrote for Amadou Diallo, a West African immigrant that was shot at 41 times by the NYPD because they thought he had a gun but it turned out it was just a wallet, called American Skin. It was during a stop in Philadelphia that he dedicated the song to Trayvon.